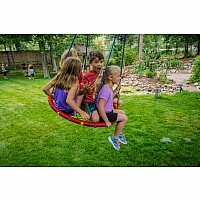 Measures approximately: 37.50 x 37.50 x 2.50 inches.. 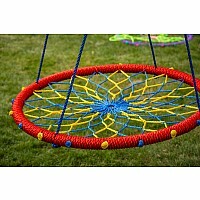 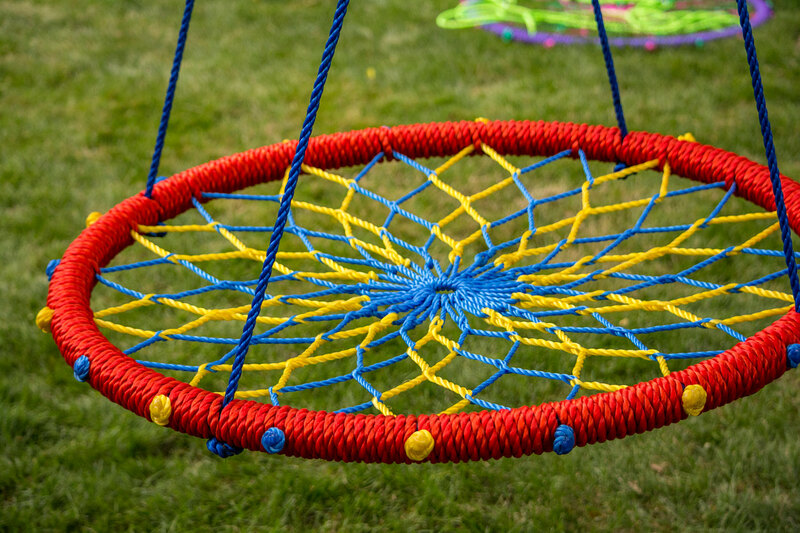 Unique colorful hand-woven dreamcatcher swing ( 38" dia.) 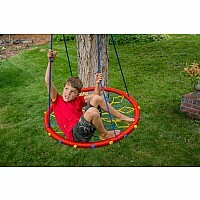 w/ polyethylene rope and strong sturdy steel frame. 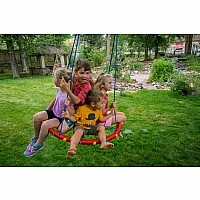 Can hold several children. 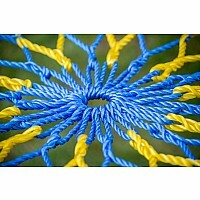 Adjustable rope 8' length with 2 carabiners. 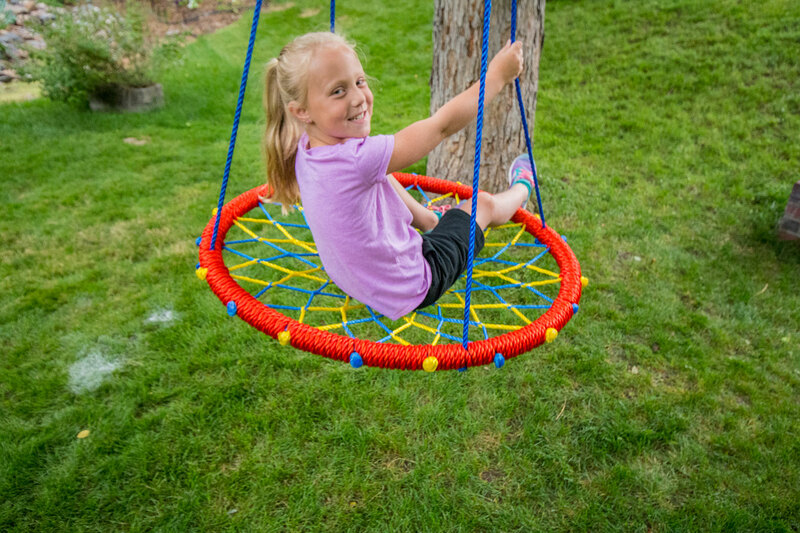 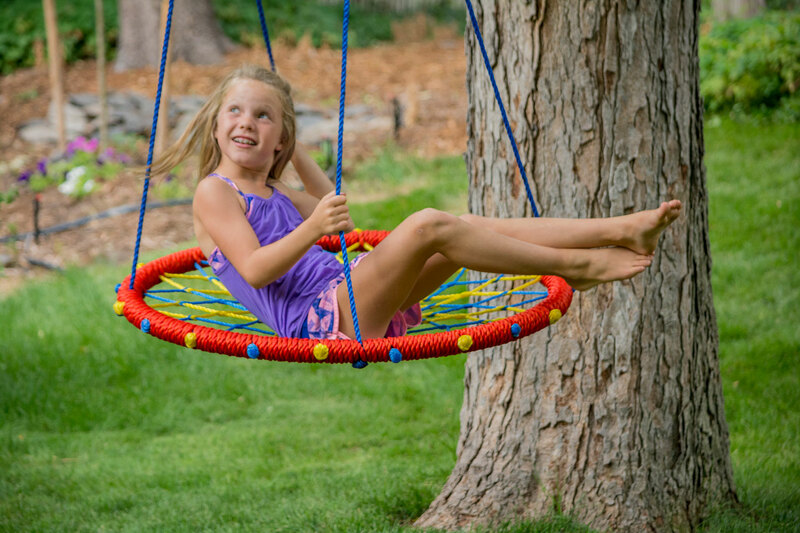 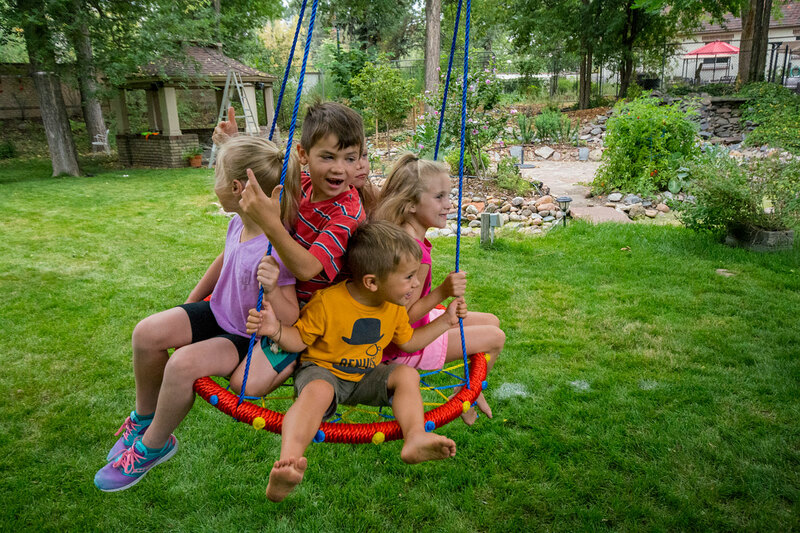 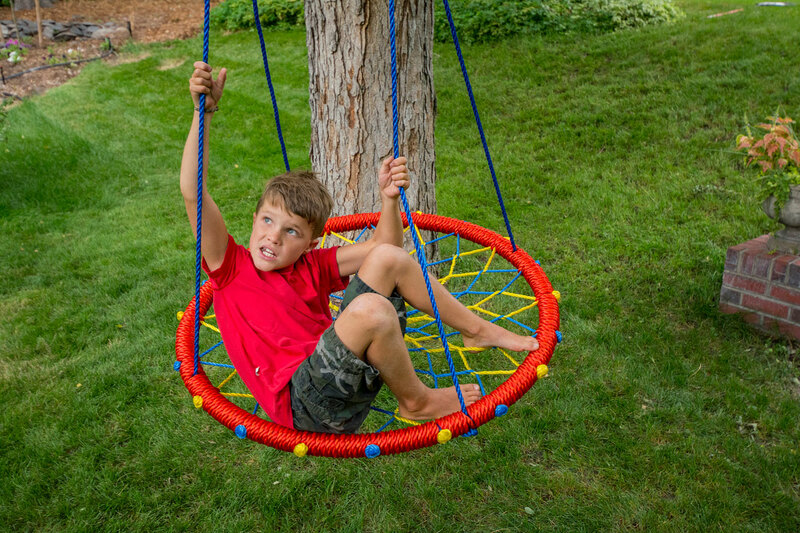 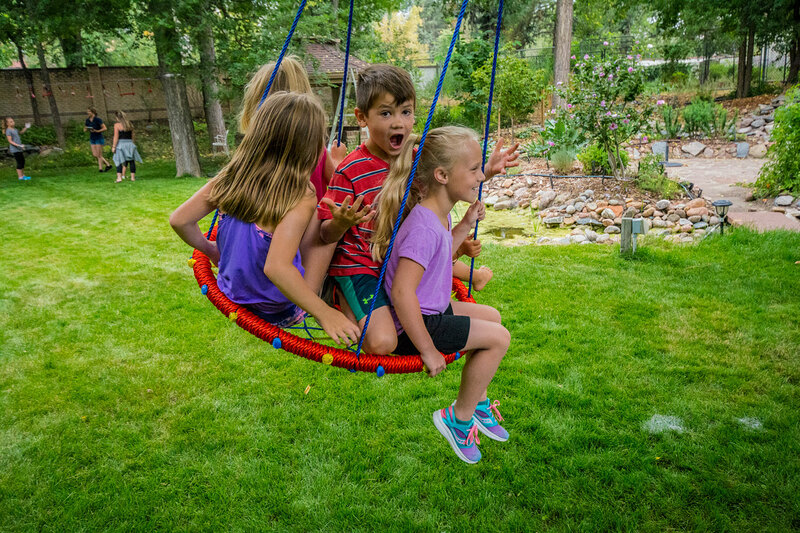 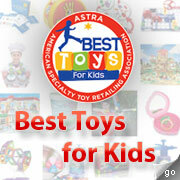 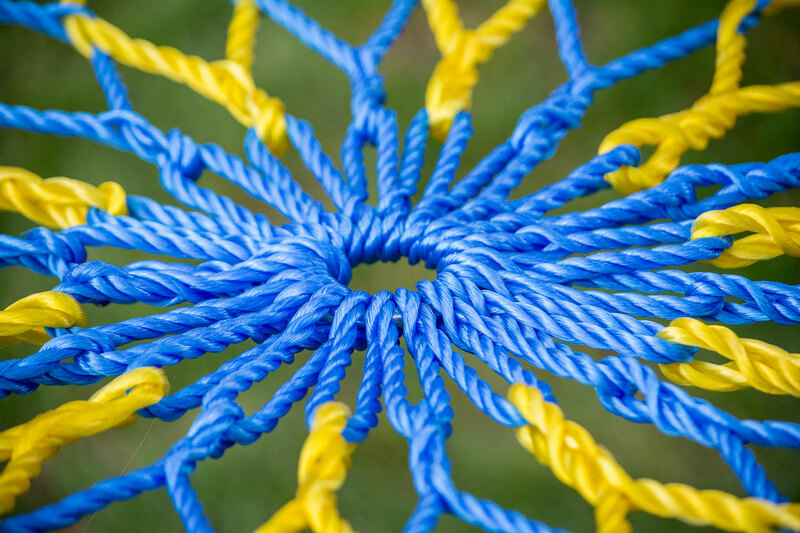 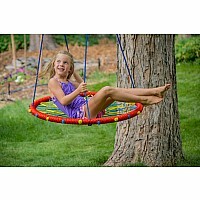 Attach to a healthy strong tree or play structure for hours of fun.